The professionals related to the film, performing arts and television commercial production work no longer necessary undergoing the labor market impact assessment LMIA in Canada. The Immigration, Refugees, and Citizenship Canada has recently made the immigration procedures simple and easier by relaxing the LMIA approval for skilled professionals in the film industry who come to Canada on a temporary basis. The Labor Market Impact Assessment is mandatory for the professionals who come to Canada and work on various visas. The assessment based on the employer’s demand that the right talent is not available in the Canada. The LMIA positive evaluation is given to the companies based on those criteria. 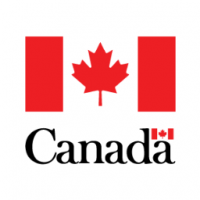 The Television and Film Professionals who come to Canada for production purposes will have the exemption of four-year cumulative limit also. The people from performing arts background also have almost same exemptions. The Canada-based companies who employ the foreign producers for production purposes will not require LMIA. However, such producers will be issued short-term visas of over two weeks, and they need not lodge a separate application for the work permits.